You love your customers. They’re what keep the lights on at your store or office and their love of your company keeps you passionate about what you do every day. Show them how much you care by hosting an awesome customer appreciation event! Client appreciation events can increase brand loyalty and cement those relationships you’ve worked so hard to build, so it’s important to put some effort into your plans. This is not the time for halfhearted planning! Let’s go through the steps for hosting a customer appreciation event that’ll knock everyone’s socks off! Customer appreciation events are not fundraisers, trade shows, festivals, or any other marketing event you may have attended. Rather than trying to put the focus on your company, you’re putting it on the people who make your success happen: your customers and clients! Charging admission is out of the question, so make sure you’re honest with yourself (and your accounting team!) about your budget for the event. This will help you realize when you need to hold back and when you can go all out. Just don’t get discouraged if you don’t have thousands of dollars to spare. 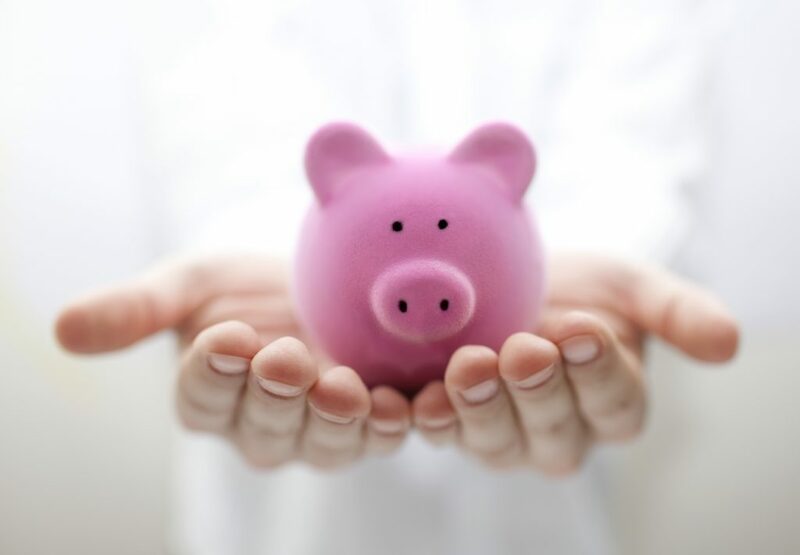 You can still throw an awesome client appreciation event on a small budget. Every business is different, which means every guest list will be different. Are you a law firm on retainer for a dozen clients? Your event attendee list will be a little shorter. Are you a retail store? You might want to “invite” everyone who walks in the door that day. Obviously, planning a small mixer at a restaurant will involve a different kind planning than a community picnic. Decide what your appreciation day will look like and you’ll have a filter to pass any ideas through. Sure, a bounce house sounds cool, but Olive Garden won’t let you set one up in the parking lot. The old adage is true: the way to most people’s hearts (not just men!) is through their stomachs. 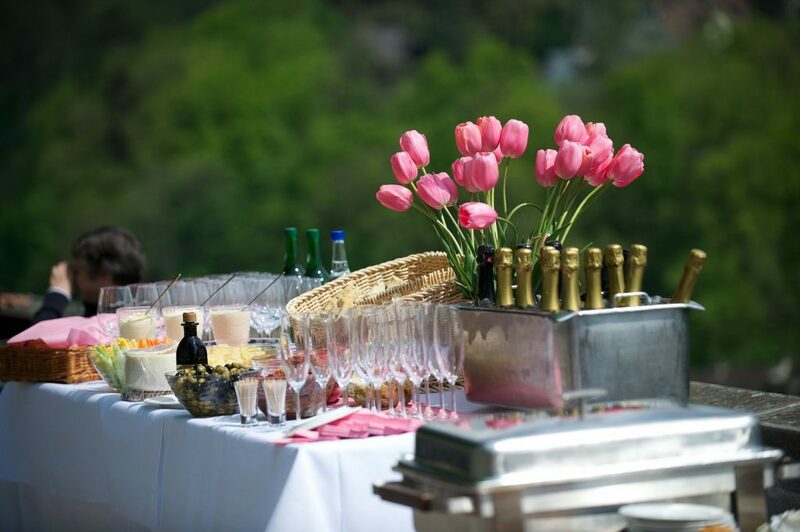 Whatever your budget, find some way to include refreshments at your client appreciation event. But there’s no rule that dictates what your menu should look like. You can serve a three-course meal, have a full catered spread, or simply rent a popcorn machine. Whether you have a joint activity or a guest act, it should fit the tone of your event as well as your budget. For smaller get-togethers, consider hosting a sit-down dinner at a fun restaurant that already has entertainment: live music, a fun theme, or a mystery dinner show. For larger events, you can think a little bigger. Read our list of customer appreciation event ideas below for some more suggestions. While the event should focus primarily on your clients, it never hurts to remind them who to thank for such a good time. Have some exciting swag available, but don’t fall for the same old “stress ball and koozie” stuff that everyone uses. Find things that your customers will actually enjoy (so that they actually feel appreciated). Phone chargers, small bags of candy, gift cards, or good quality water bottles are all examples of things people will get excited about. Now that we’ve got the outline in place, it’s time to work on the details! Here are some ideas that’ll get your creative juices flowing so you can host an unforgettable event. If you have an exciting new product or service (or if you’re trying to get the word out to new customers) a class, seminar, or workshop is a fun activity. You can have one of your baristas organize a coffee tasting, your financial planner can host a workshop, or you can hire a guest speaker to give a talk relating to your business. 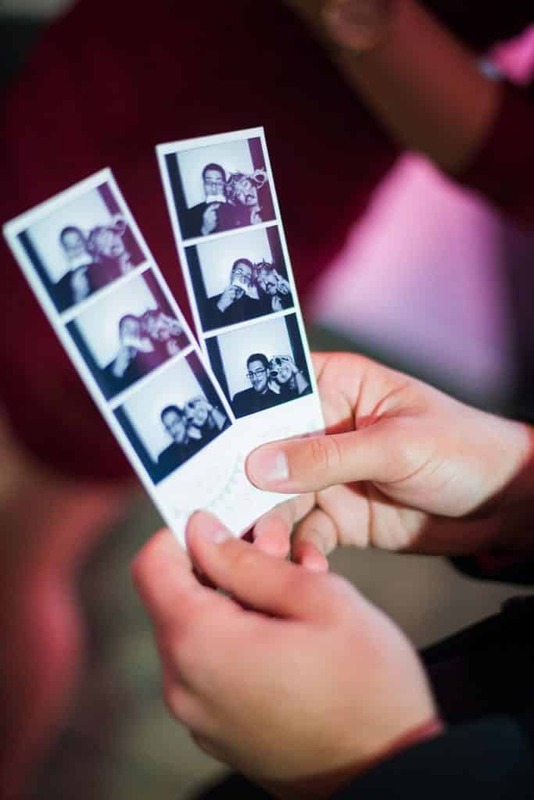 If you have a small budget, renting a photo booth will give you more bang for your buck (plus, it’ll double as the entertainment). Because you rent photo booths by the hour, your cost will be the same no matter how long your guest list is. Gather some custom photo booth props and encourage people to share their pics on social media (with your hashtag, of course). Movie screenings lend themselves well to larger events that are open to the public. You don’t need to rent out a movie theater (although you certainly can! ); you can set up a projector and screen anywhere there’s enough space. Just make sure to pick a film that’s appropriate for all attendees. If your budget can handle it, consider a private event at a museum, amusement park, zoo, or other attraction. Maybe an aquarium could give private tours behind the scenes or perhaps you could rent out a small amusement park for just your guests. Craft beers, wine, and unique spirits are always a hit, so get in on the action and organize a tasting! You can invite some local breweries to bring their most popular items or simply provide some of your own favorites. Most clerks at specialty stores will be happy to give suggestions on which drinks are the most popular and what foods to pair them with. 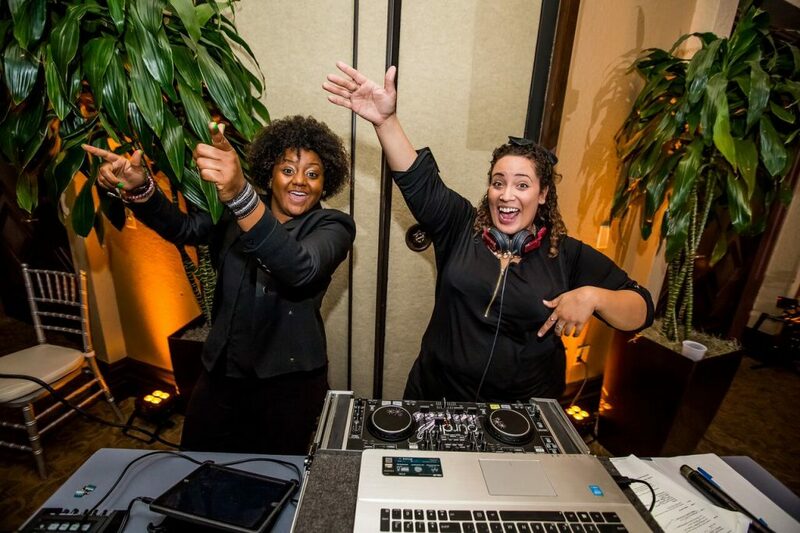 Hire a DJ to get the event off to the right start. Since they know how to read a room, keep energy up, and handle crowds, you won’t have to emcee or direct the action. Just give them a list of songs you like and enjoy the party. Holidays are when people start looking for fun things to do with the family, so you’re likely to get a good crowd if you theme your event seasonally. An Easter egg hunt, fireworks by the lake, Halloween costume contest, cookies with Santa…your only limit is your imagination! Client appreciation events are the ultimate way to thank your customers for being your biggest fans. And appreciated customers are loyal customers. Plan a next-level customer appreciation event by setting your budget, planning some awesome entertainment, and giving them a little memento to remember you by. You’ll create and increase customer loyalty…and have an awesome time doing it! But don’t forget about the ultimate way of showing your appreciation: great customer service. If you don’t follow through during the rest of the year, your appreciation day won’t have any impact.